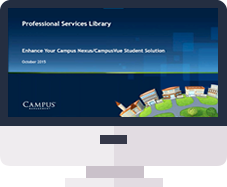 CampusManagment has just announced that All self-paced training on MyCampusInsight is now FREE. Over 50 topics to choose from. Register today at MyCampusInsight and start learning!